Valparaiso High School Senior Portrait. John T. will soon be graduating from Valparaiso High School and heading to Purdue University. While I think he would have preferred a computer lab as the backdrop for his senior pictures, we settled for the downtown Square in Valparaiso!! We took a number of portraits as well as incorporating some of the cool textures downtown Valpo offers - such as the Porter County Museum and the brick surrounding the downtown businesses. High School Senior portrait at The Porter County Art Museum. Senior pictures in front of Parea Restaurant in downtown Valparaiso. Senior portraits in downtown Valparaiso. Of course I had to incorporate the awesome architecture of the Porter County Courthouse although John won't be studying law. 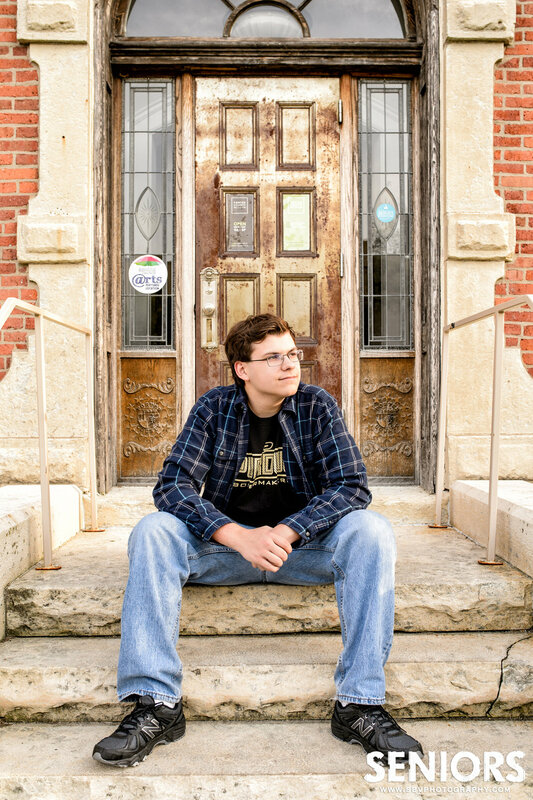 Senior photo at the Porter County Courthouse in Valparaiso, Indiana. What better way to show off the future Purdue Boilermaker's tee shirt than on the Central Park stage!! Senior picture on the Central Park stage in downtown Valparaiso. I hope you have enjoyed this sneak peek look at John T.'s senior photo session in downtown Valparaiso. Be sure to schedule your student's session via the Contact Form. Have a great summer everyone!! Senior photo in downtown Chicago. 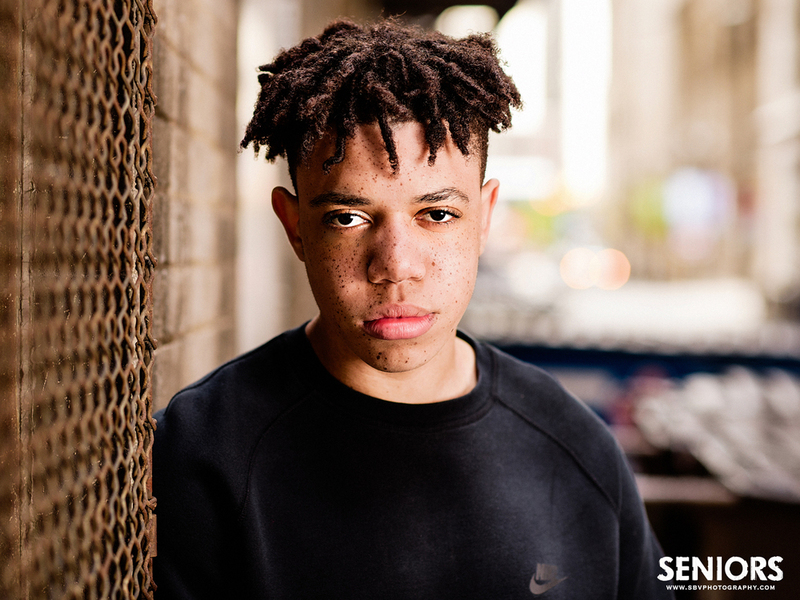 KJ really BROUGHT IT for his urban themed senior photo session in downtown Chicago. He had the outfits, he had the attitude (but not too much) and he broadcasted it all on Snapchat!! The Windy City was the perfect backdrop although it was a bit chilly for Spring. Hey, that's Midwest weather for ya!! Not only did we utilize the skyscrapers and perfect Simpsons like clouds in the sky, but we explored some grungy alleys and the L train as well. 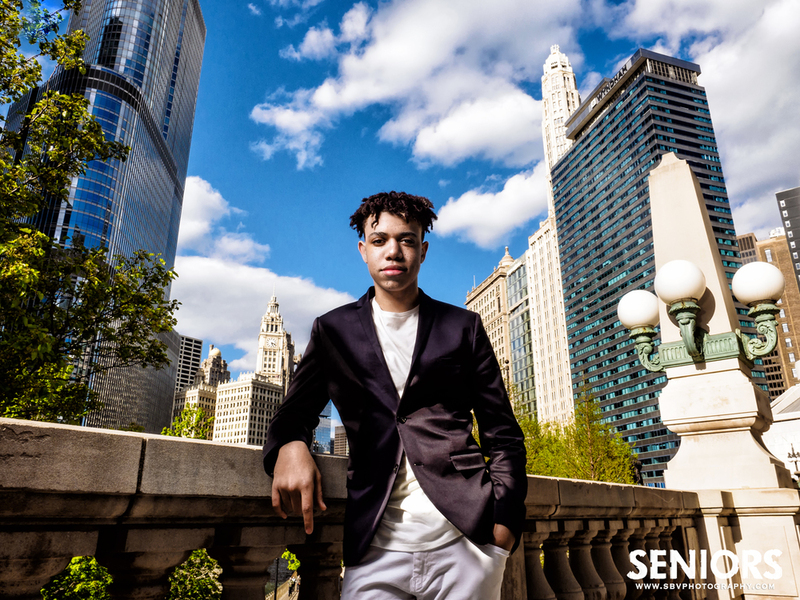 A high school senior poses around the city of Chicago for urban themed senior pictures. Kevin remarked that he really liked this marquee lights shot we did in front of the Chicago Theater. Senior photo in front of the marquee lights of the Chicago Theater. We did a variety of different looks as we roamed the 'City by the Lake' - from simple portraits to sun flares to Kevin standing tall amongst the skyscrapers. Senior photos in the 'City of Big Shoulders' - Chicago, IL. One of my personal favorites so far is this alley portrait which I really think portrays the urban theme Kevin was going for. Senior pictures with an urban theme in a Chicago alleyway. 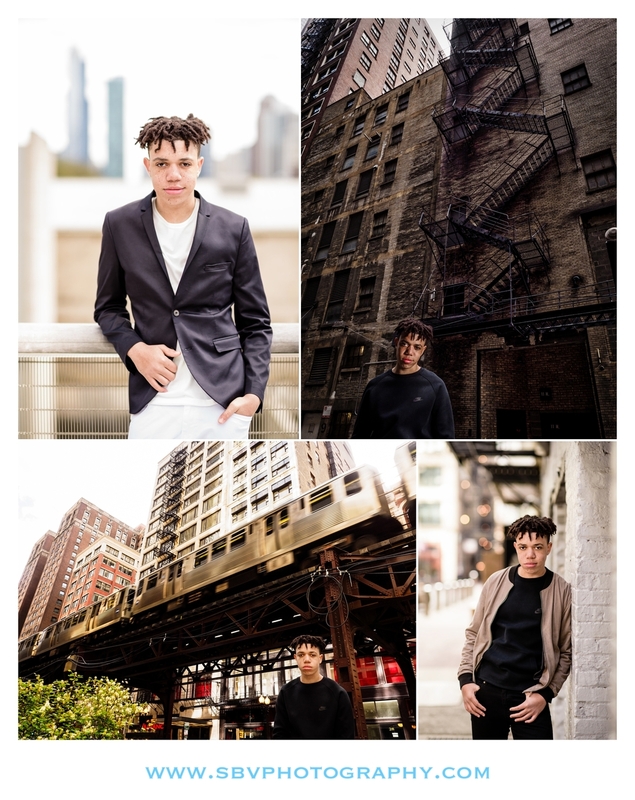 I hope you have enjoyed this sneak peek look at KJ's urban themed senior photos session in Chicago. Summer is almost upon us, so be sure to fill out the Contact Form to secure your senior session whether it be light and airy on a farm, the beach or a Chicago Session. Stay tuned for more on the Instagram feed listed below.